Nicaragua is hot at the moment! More and more travelers are discovering the delights of this land of lakes and volcanoes, and more areas of the country are opening up to tourism. Following the democratic-socialist Sandinista uprising that toppled the dictator Anastasio Somoza in 1979, and the ensuing Contra War sponsored by Washington, the image has persisted of a country racked by revolution and war. The reality awaiting travelers couldn’t be more different. Nicaragua is actually the safest country in the Americas after Uruguay, and one of the friendliest. The largest country in Central America, Nicaragua is also one of the most diverse and least explored, with a chain of puffing volcanoes along the Pacific coast, two huge freshwater lakes, important rainforest reserves on the tropical Mosquito Coast, and tiny, picture-postcard Caribbean islands where English Creole is the lingua franca. Your budget will stretch further here than in other Latin American destinations, and there is a “Wow! factor” to experience around every corner, including charming colonial cities with cobblestone streets, high-altitude coffee plantations shrouded in cloud, world-class bird-watching, Pacific breakers producing perfect surf, and Flor de Caña, the smoothest rum that ever came out of an oak barrel. Culture Smart! Nicaragua offers readers an insider’s view of the country and its people. 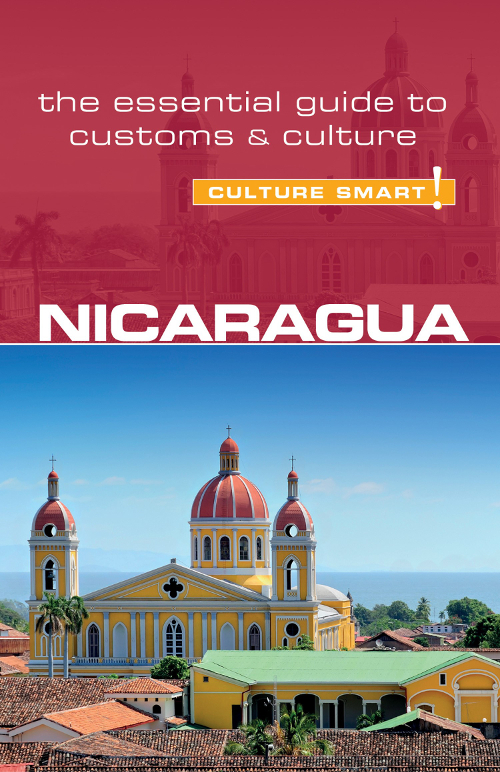 It explores Nicaragua’s national traditions, turbulent history, tasty local dishes, fun fiestas, and unique cultural expressions. It arms you with key phrases in Nica-speak, or Nicañol, so you can break the ice, and provides insights into what the people of Nicaragua are like at home, at play, and in business, so that you can get under the skin of this intriguing country and make the most of your visit. Nicaragua is one of the few countries in Latin America where you'll be greeted with a goodbye. Adiós is normally used as a farewell in most Spanish-speaking countries but in rural areas of Nicaragua it's a common way to say hello.